Across the state of Washington, summertime for most boat owners means it’s time to enjoy the sunny weather and water. Unfortunately, most Washington boat operators don’t think about taking precautions against boating accidents until it’s too late. Here’s some information all boat owners and operators should be aware of in order to avoid boating accidents and have a safe and enjoyable time on the water. In addition to learning the “rules of the water” and obtaining a Washington State Boater Education Card, all operators should know the local rules and regulations for each body of water they intend to boat on, such as no-wake zones and speed limits. These are posted at specific locations. It is also important to be certain that your boat insurance is up to date and that it has protections like liability coverage, medical payments coverage (Med Pay), and Uninsured Motorist coverage. Insurance protects not only your assets but your loved ones in case they are injured in an accident. Use a Pre-Departure Checklist. Use a list to make sure no boating safety rules or precautions have been overlooked. Before boating, make sure you have required emergency supplies, such as fire extinguishers and signal flares. Also be sure all gear is in working order and easily accessible in the event of an emergency, so you’re prepared for any possibility on the water. Develop a Float Plan. Whether you choose to inform a family member or staff at your local marina, always be sure to let someone else know your plan. This should include where you’re going and how long you’re planning to be gone. Know the Weather. Always check weather conditions before departure. If you notice darkening clouds, changing winds or sudden drops in temperature, be safe by staying out of the water. Wear Life Jackets. Most drowning cases result from boaters not wearing life jackets. Under Washington Law, RCW 79A.60.160 states all water craft must carry a life jacket for each person on board. Children 12 years and under must wear a life jacket at all times. Avoid Alcohol Use. According the Boat U.S. Foundation, nearly half of all boating accidents involve alcohol. In addition, studies have shown that the effects of alcohol are exacerbated by sun and wind. These statistics say it all – significantly decrease your risk of boating accidents by avoiding alcohol altogether when you’re on the water. Use Common Sense. Use common sense, including operating at a safe speed and staying alert at all times, and steering clear of large vessels and watercraft that can be restricted in their ability to stop or turn. Be respectful of buoys and other navigational aids, all of which have been placed there to ensure your own safety. Obey Right-of-Way Rules. 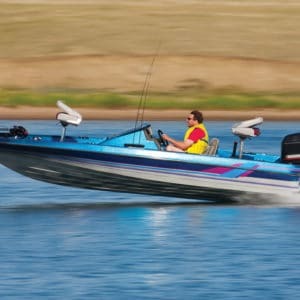 Right-of-way rules are determined by which boat is the “stand-on craft” – or the boat with the right-of-way, and which is the “give-way craft” – the one that does not have the right-of-way. Stand-on crafts are able to maintain speed and direction when approaching other vessels, but give-way crafts must steer clear of stand-on crafts, altering speed and direction to avoid a collision. Other factors that may also affect who has the right-of-way include the type of craft you are operating, the type of craft you’re approaching, the position and direction from which other craft are approaching, and the type of water you are navigating. Maintain your Boat. Inspect your boat for damage and keep it properly maintained. No one wants to be stranded on the water, so make sure your boat batteries are charged. Proper maintenance will ensure the longevity of your boat as well as a pleasant boat ride. If you have any questions about a boating accident that occurred in Yakima or within Washington state, please contact the experienced attorneys of Abeyta Nelson. The sooner you call, the more likely we can help you.